With the growing popularity of FTTH (Fiber to the Home) in recent years, the term “FTTH” has caused people’s attentions. In many small places, there still use copper network. Even if there is FTTH, it is very expensive for use. To those people who are unfamiliar with FTTH, they may have many questions to ask. Today, we are going to talk some basic questions and answers of FTTH. A. FTTH the delivery of a communications signal over optical fiber from the operator’s switching equipment all the way to a home or business, thereby replacing existing copper infrastructure such as telephone wires and coaxial cable. Fiber-to-the-home is a relatively new and fast-growing growing method of providing vastly higher bandwidth to consumers, and thereby enabling more robust video, internet and voice services. Q. What is the Fiber-to-the-Home Council? A. The Fiber-to-the-Home Council is a non-profit organization consisting of companies, organizations and municipalities engaged in advancing FTTH solutions. 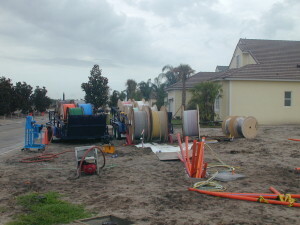 Our members are manufacturers who build equipment used in FTTH deployments, residential developers that install fiber in their housing developments, public utilities and local governments that have built their own FTTH systems, and independent and rural telephone carriers who have gotten into the business of providing fiber-tothe-home. Among the Council’s activities are providing ways for our members to share their knowledge and build industry consensus on fiber-to-the-home. Q. What is optical fiber? A. Optical fiber uses light instead of electricity to carry a signal. 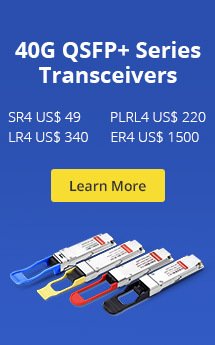 It is unique because it can carry high bandwidth signals over long distances without degradation. Copper can also carry high bandwidth, but only for a few hundred yards – after which the signal begins to degrade and bandwidth narrows. Optical fiber has been used in communication networks for more than 30 years, mostly to carry traffic from city to city or country to country. Q. Why is fiber optic cable now being connected directly to homes? Q. Why do we need all that bandwidth? Aren’t cable and DSL systems good enough for what most people want to do? A. If all you want to do is surf web pages, download a few songs, send and receive some photographs, or watch streaming video at current picture quality levels, then the bandwidth provided by today’s cable modems and DSL lines is probably good enough. But the world is moving toward vastly higher bandwidth applications. Companies like Netflix, Amazon and Wal Mart are preparing to offer featurelength movies for download. More people are looking to upload their own home movies into emails or web pages. Consumer electronics companies are coming out with devices that connect televisions to the Internet. High-definition video is fast becoming the state-of-the-art – and one high definition movie takes up as much bandwidth as 35,000 web pages. All of these applications – and many others we haven’t even dreamed of yet – are going to require much greater bandwidth than what is generally available today, even from so-called “broadband” providers. Q. But it was only a few years ago that I upgraded from dial-up to DSL. Are you telling me I’m going to have to upgrade again? A. Think about it. A little more than two years ago, the Internet video service You Tube didn’t even exist. Today, You Tube viewers watch 100 million video clips a day. It was the advance from dialup to DSL and cable modem that made You Tube possible. And now a growing number of Americans are watching their favorite television programs and news and sporting events over the Internet. We have no reason to believe these innovations will stop. This trend will continue into high-definition video, telemedicine, distance learning, telecommuting and many other broadband applications that have thus far been limited only by the amount of high-bandwidth connections into people’s homes. Only fiber-to-the-home can deliver the bandwidth we are going to need in the future. 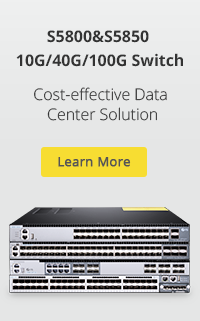 Fiber-to-thehome providers are now providing this higher capacity at competitive prices. Q. Why can’t I get these high-bandwidth applications with DSL or cable modem? A. DSL and cable modem rely on copper wire to deliver signals to your home – and copper can deliver high bandwidth only over very short distances. That’s fine if you happen to live a few hundred yards form your provider’s switching station, but most people don’t. Optical fiber does not have this limitation and thus is able to carry high bandwidth signals over great distances to homes and businesses. Only fiber-to-the-home can deliver the immense bandwidth that the applications of the future will require. Q. I’ve heard that wireless technologies like WiFi and WiMAX can deliver the same kind of service as fiber-to-the-home without having to go through the trouble of installing new wires into homes. Is this true? A. No. Wireless broadband is subject to spectrum availability – the cost of which limits the bandwidth, and hence the applications it can provide. The wireless technologies cannot deliver high definition television – and, in fact, they have trouble delivering standard television. And HDTV is only one of the many high-broadband applications now being developed for our broadband future. Q. What about satellite? Most people have that choice, don’t they? A. Satellite offers video, of course, but it cannot offer robust broadband Internet service because the subscriber can only download the signal. Upload is normally provided through the subscriber’s telephone lines, which limits transmission speeds for user-generated content. Q. Is FTTH service affordable? A. Fiber-to-the-home services are being rolled out nationwide at prices that are competitive with video, voice and data services being delivered by incumbent carriers. In places where consumers have previously had little or no choice in their video and Internet services, the addition of a fiber-to-thehome competitor has helped keep prices down and lift service quality. Q. Is there a calculated value of having a FTTH? A. Yes. A recent study by RVA & Associates, a Tulsa-based consulting firm, surveyed home buyers and developers. It found that fiber-to-the-home adds about $5,000 to the purchase price of an individual dwelling. Q. Is FTTH primarily a technology for getting high-definition movies on demand? A. Not at all. While the vastly higher bandwidth and transmission speeds offered by fiber-to-the-home is certainly enabling video providers to offer a wider range of products and services, users of other applications that will benefit as well. Gamers will get access to more powerful multi-player applications. Avenues will open for distance learning and telemedicine. Opportunities for telecommuting and working at home will increase. And, just as Internet applications and solutions have grown more sophisticated with the expansion of available bandwidth thus far, you can be sure that this leap into next-generation broadband will inspire further innovations that we cannot even imagine at this point. This entry was posted in FTTH Network, WDM & Optical Access and tagged Fiber to the home, FTTH. Bookmark the permalink.